What a productive wifey day! Prepare husbo’s breakfast – check! Send off husbo to work – check! Do the laundry – check! I cooked the husbo’s favorite garlic rice today and paired it up with egg and a hotdog. He finished everything! Yay! After sending him off to work, I did some laundry. We need more clothes for our trip next week. Whew! Doing the laundry always leaves me so tired but am happy. While doing the laundry though, there were several people who passed by selling stuff. Of course I had to politely decline because I had no need of their wares. But my heart was touched. I realized how blessed I am that I don’t have to walk under the scorching heat to earn. I prayed for them. Prayed that God will bless their sales. It’s all I can do at this point. 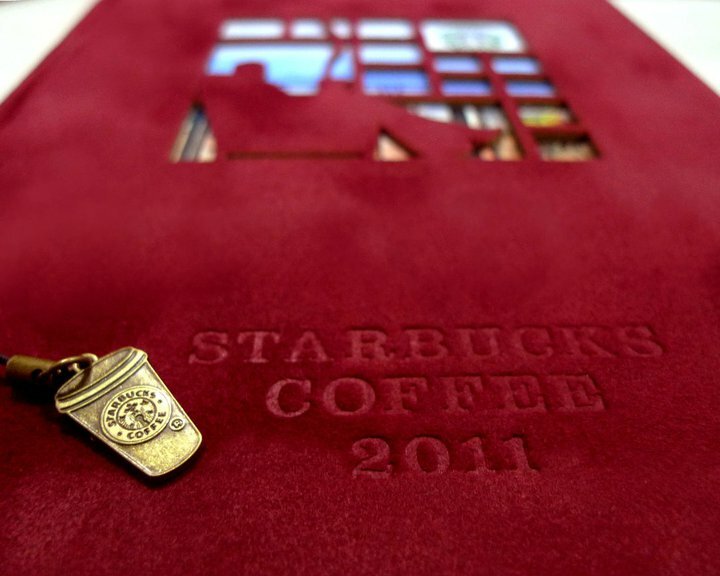 On a happier note, the Starbucks Limited Edition 2011 Planner for the Philippines is up for grabs!!! I got my card yesterday and I can’t wait to start filling it up! Read all about the mechanics here. Below is a sample of one of the planners. Borrowed the photo from Maver.